The daughter of Norwegian and Slovenian parents, she spent her childhood in south Germany and as a youth lived in Oslo, which is also where she first pressed the record button on her four track. After that came art school in England and Berlin, part-time jobs, the life-style of an uncertain existence, but also friends for life and much collaboration with people from the local as well as international folk music scene. And during all these years the cassette tape was constantly flowing over the audio head of her multi-track, and a sound archive started to take shape of which previously only excerpts had been heard in public. A series of lovingly hand-finished, extremely limited edition CDs touched the hearts and ears of selected music freaks - this provided that little bit of publicity every new artist needs to begin with so as not to just give up, press the stop button and leave their work unfinished.But that wasn't meant to be and the Berlin label Monika Enterprise made an offer, the first result of which is "Can't Tape Forever", a 10" the title of which says so much. This record will be followed early 2007 with the debut album release. 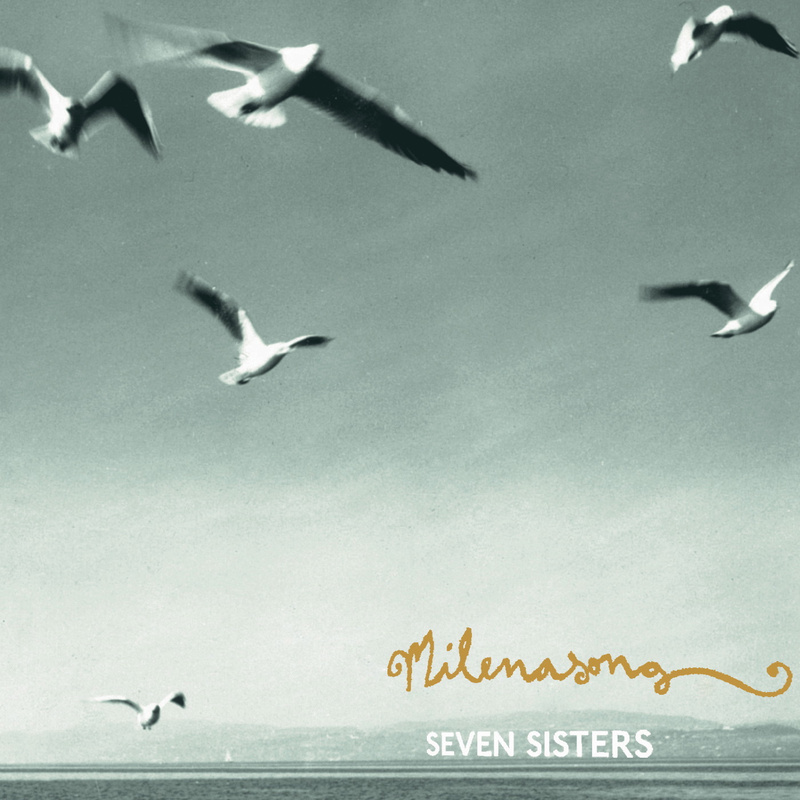 It was recorded in London's Golden Hum studios and will bear the name "Seven Sisters", with guest appearances by Dark Captain / Light Captain and Sculpture among others. The record took on its final form in Bernd Jestram's (Tarwater) studio where he mixed the songs together with Milenasong and legendary folk pioneer Jeff Tarlton.Having completed mixing the album in late summer 2006 Milenasong took the time to play some concerts (among other with Matt Elliott) and complete a very successful mini-tour. Her unbelievable presence during performances for which she uses diverse instruments, of course her unmistakable voice and a loop-station which allows her to create ever new variations of the songs mesmerizes audiences and has already won over quite a flock of fans for Milenasong.The songs on “Seven Sisters” unravel, as if written by a delicate hand on rice paper, stories which border between dreams and realty. Stories that are as old as the sun but different every time like each new phase of the moon. The vocal melodies flicker like eyelids in REM sleep and her unusual voice is a whole choir in itself. Milenasong's music weaves together Norwegian folklore, English folk rock, forgotten memories and poetry. In her work she unites the unutterable with clarity. Music-historically her sound is related to such people as His Name Is Alive, Sandy Denny, This Mortal Coil, Roy Harper and Vashti Bunyan. While contemporary artists from whom she takes inspiration include Les Mouches, Animal Collective, Matt Elliott, Diane Cluck and The Liars. Her vision is complete and she knows how to use it.